The weighing bars PCE-SW N series allow a measurement of palettes disregarding their size. 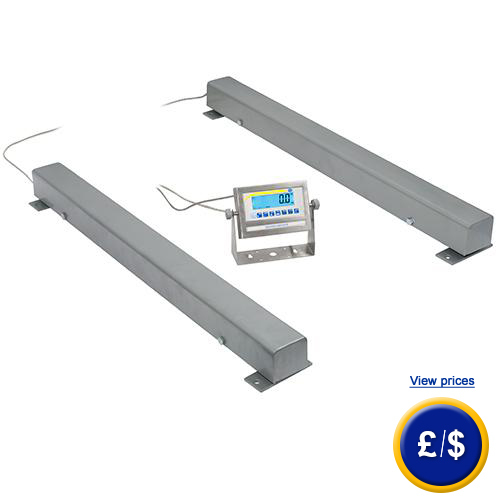 The weighing bars can be set up with a maximum distance of 4 m from one another. 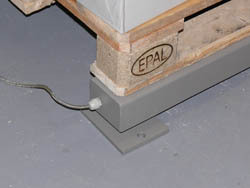 These weighing bars are ideal for the e.g. weight measurement of super-large or extra long weighing goods. 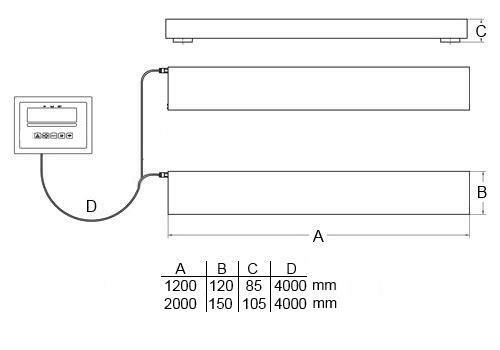 The weighing bars are 1200 mm long and 120 mm broad. The 5 t weighing bars have a length of 2000 mm. The display is connected via a 5 m cable with the weighing bars. This display can be either mounted to a wall or set up on a table. Due to the RS 232 interface the weighing scale can be connected to a computer or a printer. With help of the instruction manual of the interface included in delivery, the weighing bars can be easily set-up and integrated into an IT system. The power source of the weighing bars is an internal rechargeable battery, so that the weighing bar can be operated on flexible terms. In case that you should have more questions regarding the Weighing Bars PCE-SW N series, please read the following technical data, use our contact form or call us: +44 (0) 2380 98703 0. Our technicians and engineers will gladly advise you regarding weighing bars or any other product in the field of Control Systems, Laboratory Equipment, Measuring Instruments or Scales and Balances of PCE Instruments Ltd.
For companies that want to admit the device to their internal pool of test devices. 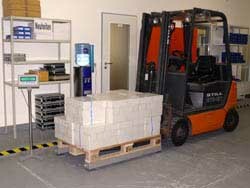 The calibration certificate is made by test laboratories and is a compare of the standard value and the measured value. The software is able to simulate a manual data feed-in and can transfer the data e.g. straight to Excel with time and date. There is also the option of saving a TXT file in the background. This is a connecting cable from USB to RS 232. Therefore the cable can be straightly plugged into the RS232 interface of the weighing bars.